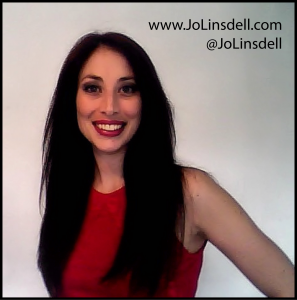 Jo Linsdell is a best selling author and illustrator and internationally recognized marketing expert. She is also the founder and organizer of the annual online event “Promo Day” (www.PromoDay.info) and the Writers and Authors blog (http://WritersAndAuthors.blogspot.com). To find out more about Jo and her projects visit her website www.JoLinsdell.com. I’ve always loved anything and everything creative. It’s built into my DNA I think. I never seem to have trouble finding inspiration. If anything, I have too much of it. As for my non-fiction books, I’m inspired by my own passion for social media and online marketing but also from working with so many authors and publishers. When working on a non-fiction book I start by brainstorming and putting together a rough table of contents. I find this helps me plot out the book and put my ideas for the book into order. Once I have that done I know what I need to write in each chapter making it much easier and quicker to finish writing the book. I also design the book cover early on. There are a few reasons I do this but the main two are 1. So I can start drumming up some pre-release buzz for the book (even before it’s been written… it’s never too early ;)) and 2. as a motivational tool for myself. It helps me focus and makes the book “real”. Don’t be afraid to experiment with your writing. Have fun with it. Get excited about what you’re writing. Self publishing has always been my plan A. I did my first books through Lulu.com and whilst I’ve been very happy with them and the quality and service they offer, I decided to switch to Createspace and the KDP Program. The reason was that they offered more competitive pricing meaning I could make my books available to the public at a lower price and be more inline with other books in my genres. I’m a hands on type of person and also a self confessed control freak. Self publishing works well for me. I’ve even turned down offers from publishers in the past to go the DIY route. I’d probably only consider going with a traditional publisher if they made me an offer I simply couldn’t refuse. Self publishing isn’t for everyone though. You need to weigh up your personality, your skills, and your goals for your book. I think the future of book publishing is in the writers hands. Thanks to companies like Amazon, Smashwords, Lulu, etc… we now have more options available to us. The revolution has already started but is only at the beginning. I’m not saying that traditional publishers won’t exist anymore, but they will have to step up their game.